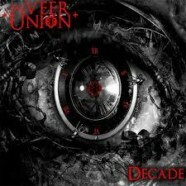 Ladies and gentlemen, The Veer Union are finally back with their latest installment via Pavement Entertainment in Decade. It’s a fitting title seeing as how it’s been 10 years since their debut- Time To Break The Spell– and the band has only gotten stronger since that release. Decade- the follow up to 2012’s Divide The Blackened Sky– shows the maturity and progression the band needed to keep the momentum going and have captured exactly what they’ve always been all about. They’ve always had the attitude and intensity required to make it in the metal world but Decade takes it a step further. Imagine Sevendust but a little more poppy- not a bad combo at all, in fact it works so well it’s beautiful. Frontman Crispin Earl has always been compared to Lajon Witherspoon but with Decade, it’s scary how similar he sounds. This is, by far, the strongest, most aggressive, most cohesive record The Veer Union have released yet. Longtime fans will love it, doubters will be silenced and new fans will have the perfect starting point. So get ready, metal fans and Veer Union fans, the band is back. They’ve withstood the test of time and they’re here to take no prisoners and take their rightful place upon the elite. This is The Veer Union at their best.